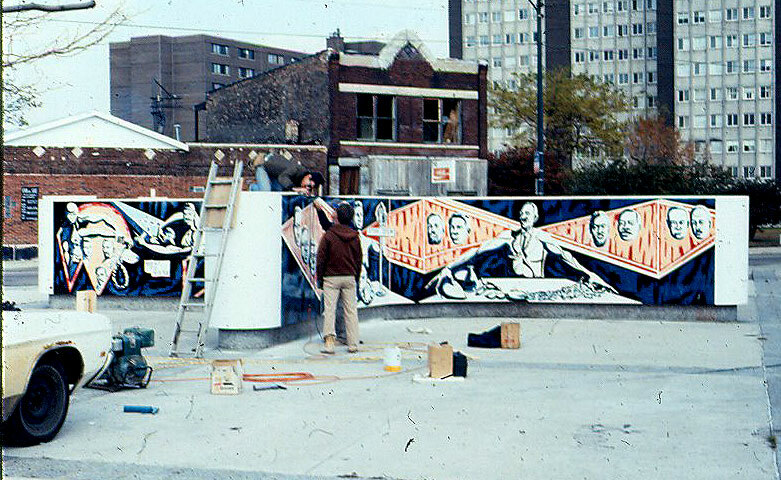 Inspired by the French architect Le Corbusier (1887-1965), the application of porcelain enamel as a medium expanded to the field of public art and was introduced in the mural painting class at the School of the Art Institute of Chicago (SAIC) in the late 1970s. 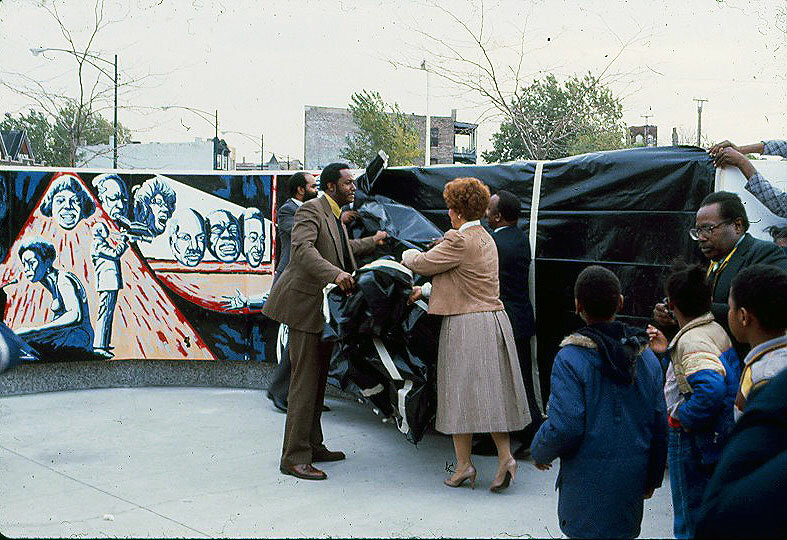 This exhibition includes several noteworthy large-scale enamel paintings produced by SAIC artists during this time period, including two prototype murals for installation in the Chicago subway system—though the only one actually realized was the Martin Luther King, Jr. Memorial wall, commissioned to Eugene "Eda" Wade by the City of Chicago in 1980 and mysteriously dismantled in 2001. "Art after 1600° Fahrenheit: Enamel Painting in Chicago" opens Thursday, May 7, at the Koehnline Museum of Art at Oakton Community College, with a public reception from 5-8 p.m. The display runs through Friday, June 19. 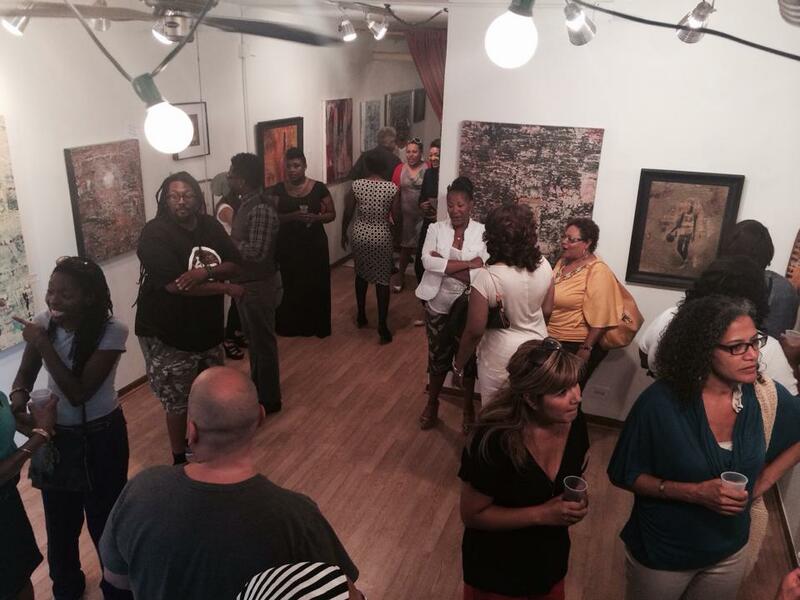 Eugene "Eda" Wade will be exhibiting his latest body of work "Wisdom and Knowledge" this June at Galleryna19. Eda is the father of Galleryna19 co-owner, Martha A. Wade. In his latest body of work - artist, educator, and muralist - Eda Wade brings to life bold and informative works of digital collage. His work presents vital information and how the mind is colonized by those who must have power and control over the masses of people.